This is one of my favourite plants. Melody wanted to plant these the year her sister died. It was just a tiny plant that had 3 vines of flowers, now it's overtaken the front part of our yard. I think they are just a very sweet and dainty flower and the heart reminds me that she will always be in our hearts!! Love you sweet RooRoo!!!!! A mama on my forums recently lost her little baby Rhys. I made his family a memorial birth flower tribute. Please pray for their family during this time of loss and that they would be protected during their grieving process. 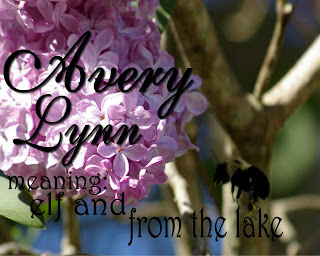 Here is the link to my Birth Flower Tributes. If you know someone who has lost a child, I would love to make one for them. Right now, due to money, I am making them and sending via email so the family can print it out. All I need is their full name and the month they were born. Just leave me a comment and let me know. Went To Sick Kids Hospital Today!!! Daniel and I went down to Sick Kids today and dropped off some hats that I've been working on over the past year. Darcy (the bereavement coordinator and our contact at Sick Kids) wasn't there to get a picture accepting the hats but here are the pictures I took last night. There were 137 hats made by me this time around. I try to make one every other day and I would love to have some more people to come and crochet with me to give hats to this wonderful hospital. If you would like to make some hats, donate some hats or yarn, please leave a comment for me and I will get back to you. Even if you don't live near me and still want to get involved let me know and I can let you know how you can help put these beautiful little hats on some precious little children's heads. I am always in need of soft yarn, white cardstock, printer ink and small safety pins (for the cards that go with the hats). 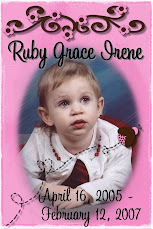 We got to visit Ruby last month and add a couple things to her gravesite. Last year we put the flowers there and they lasted the entire year. This year we added some girly things and some hummingbirds. You see, Ruby never really talked, she would hum her sentences. You would know what she wanted cause you could understand the intonations but didn't say many words. Shortly after she passed away, my daughter Melody was looking through a book and saw the ruby throated hummingbird and commented that it was like Ruby, cause Roo hummed. So, since then we have been collecting ruby throated hummingbirds. It was a bittersweet time visiting her. Putting these little momentos on her grave are one of the only ways that I can take care of my little girl anymore. I can keep her grave looking sweet and girly and it's so filled with love. She is 3 hours north of us and buried need some of my husband's family. She loved it up in the cottage area and we knew that this would be the best place for her to be. I was looking through some pictures and can't believe that I forgot to post the after pictures of the yarn that my good friend Wennie donated to me. We'll be going down to sick kids next week and I can't wait to give the hats that have been made over the past year. 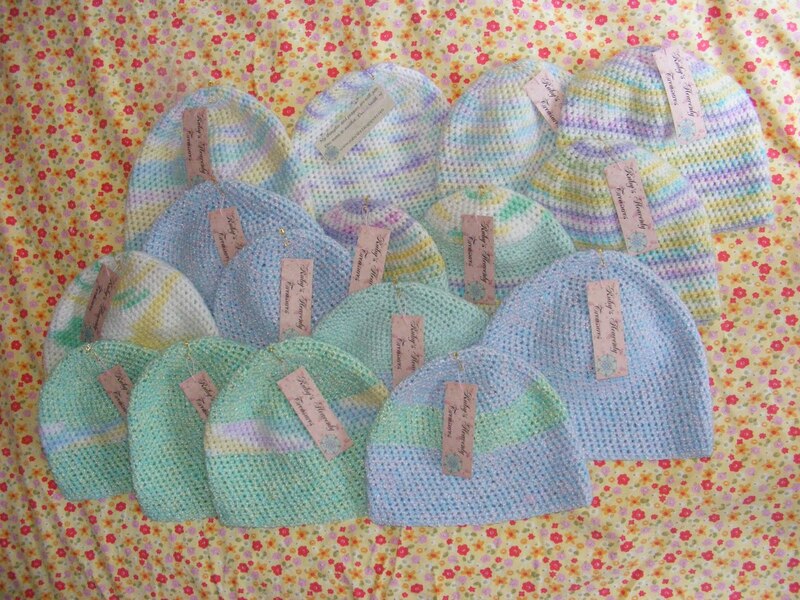 Here is a link to the yarn that was donated and here are the hats that were made. A few months ago I started running out of yarn. I've been down to tiny balls of leftover hats and have made a few multi-striped hats. Last week one of Daniel's adult teachers (he teaches private music lessons and this lady is a primary school teacher) gave us some primary books that she was cleaning out of her classroom. Well the other night, he came home with this HUGE bag of yarn. LOOK AT ALL THAT YARN!!!!!!!!!! I am SO touched and blessed to have this yarn and can't wait to start making some hats for Sick Kids. All the ones we gave last year have already been given out throughout the hospital.